[Colorado Bear Creek Cabin in Evergreen.] 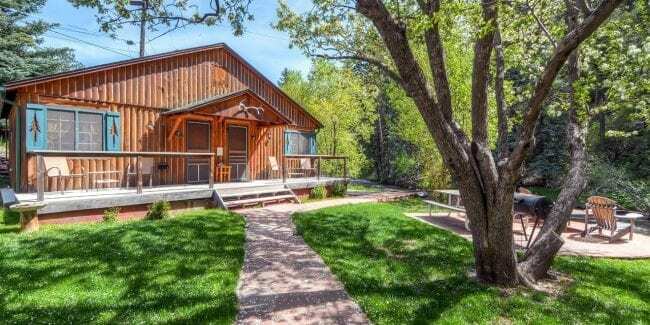 Being both in the mountains and close to the capital city give Evergreen, CO a big advantage. This Jeff Co town features one of Colorado’s larger mountain town communities, with a bustling little downtown, oodles of outdoor recreation and top hotel accommodations. There’s everything from reliable hotel chains to one-of-a-kind mountain getaways in town. You can visit Evergreen any time of the year too and still have amazing outdoor and indoor activities to do. It’s quickly accessible by a number of ways from the Denver Metro: from the south on Highway 285, to the north on I-70, or heading west from Morrison. 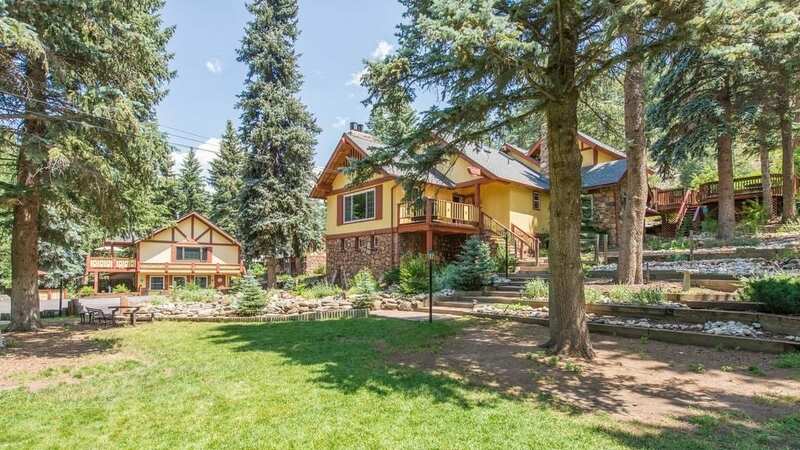 Even if you live in Denver, consider spending a wonderful night away in the mountains. Clean room at the Comfort Suites Golden West. Neighboring downtown, Evergreen Lake is a year round playground and lovely town backdrop. Check out summer activities like wake-less boating and fishing, along with ice skating and broomball during winter. There’s also the town-favorite Beau Jo’s where you can get your authentic Colorado Pizza. You’ll find Evergreen to be a very strollable town from its historic downtown strip. Adventure awaits in all directions from town. Head west to reach the Mount Evans Byway, open seasonally from late May to October. Drive up over 14,000 feet, one of only two places in the country you can do this. Or get outta your car and go for a hike in the Arapaho National Forest. If winter consider shredding the locals’ Echo Mountain Resort. It’s one of the Front Range’s best kept secrets. Year round, there’s a variety of annual festival weekends to choose from. The Cabins At Country Road, Evergreen, CO.
Nestled among the trees, The Cabins at Country Road is a unique experience. The location runs along the Bear Creek and you can experience waking up with waters cascading beside the patio. The creek is pivotal to the charm of The Cabins because of its sound, its smell, and its touch have been the top “feature” previous guests have always noted. The accommodations are secluded behind the gates of the Country Road Cafe where guests can enjoy privacy, peace, and tranquility. Whether you’re alone, on a romantic trip, or a family weekend bonding, they have a perfect cabin for everyone. Each cabin can accommodate at least two guests. 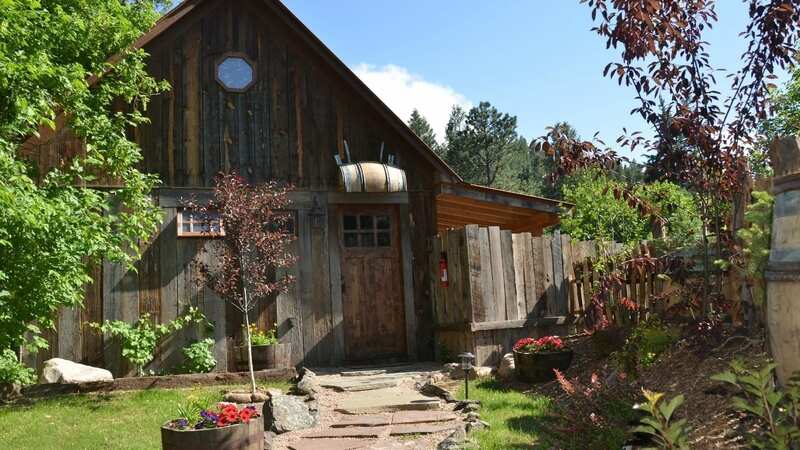 There are seven accommodations in total: the Owl’s Nest, the Huckleberry House, the Chicken Coop, the Bootlegger Barn, the Orchard House, the Dreamcatcher, and the Fish Camp. Each has complete house amenities, along with a unique ambiance. There’s the Orchard House that gives the vibe of an old Colorado farmhouse mixed with modern amenities. On the other hand, the Owl’s Nest has an open-loft bedroom with an old country facade. You’d be able to enjoy the spiral staircase as well as the open courtyard at the back. All bookings recieve a complimentary breakfast from their “legendary” on-site Country Road Cafe. The restaurant is off during Mondays so you’ll receive a breakfast basket delivered to your doorstep instead. Comfort Suites Golden West on Evergreen Parkway, Evergreen, CO. 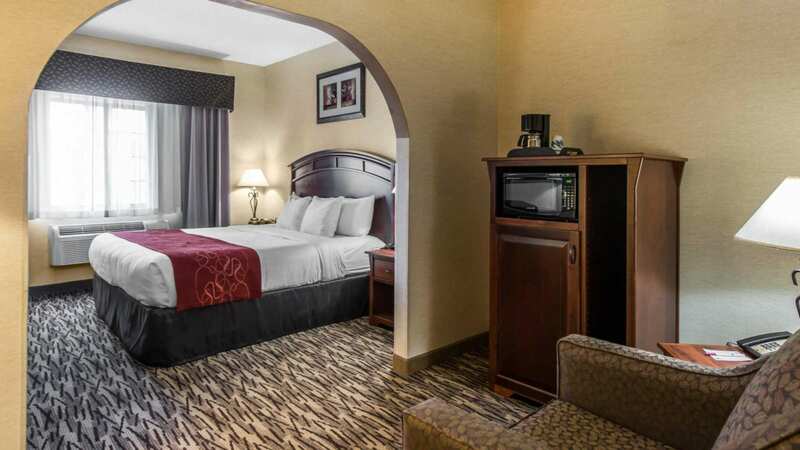 Though most know Comfort Suites as part of the Choice Hotels franchise, this particular Comfort location stands out. 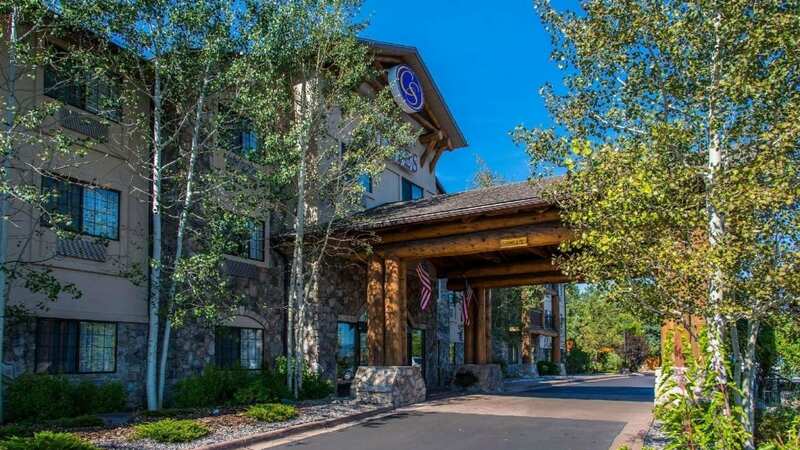 Located in the middle of the pines of the Rocky Mountains, staying here takes out all the preconceptions of staying at a mid-level hotel accommodation. The entrance alone can take your breath away. The luxurious hotel features include pristine views from the patio, the hot tubs, and private balconies. Other features include a heated indoor swimming pool, fitness room, business center, guest laundry and fireplace Rooms also have refrigerators. This award-winning hotel is considered a “Green Hotel,” following sustainability guidelines. Each suite is designed to have a good light flow throughout the space. Open walls divide the space accordingly so it feels like there’s more breathing room. Since it’s a prime destination, the hotel is also a vetted location for conferences and weddings. The hotel offers unique travel packages like the Romance Package or the Loveland Ski Package that’s available from November to March. Highland Haven Creekside Inn, Evergreen, CO. There are few accommodations that make for the main destination for tourists like this one. This award-winning accommodation (included in TripAdvisor’s awards as well as the coveted Bed and Breakfast Diamond Collection Member) has 8 types: Tree House, Fireside Loft, Gardener’s Cottage, Evergreen Suite, Blue Spruce Cottages, Hillside Cottages, Creekside Cottages, Junior Suites, and Guest Rooms. Everyone can still experience the expansive property of Highland Haven on a range of budgets. Each accommodation has its own features, amenities, and views. For example, the Fireside Loft boasts of 1500 square feet of space that highlights bold architecture and detailed interiors. Relax in the majestic and homey master bedroom with its king bedroom and custom granite tile bath. As if the amenities wouldn’t be enough to bring this experience to the top of your bucket list, the other outstanding part of staying at Highland Haven Creekside Inn is the food. Their gourmet hot breakfast is served from 8 to 10 a.m. at the historic Dailey Cabin. The rotating breakfasts keep you guessing what’s coming every morning. Specialities from owner Gail Riley’s cookbook, Colorado Cravings, including vegetable strats, bacon quiches and cheesy egg bakes. Fresh pastries baked daily are among the offerings. For guests with allergies or special food requirements, you can coordinate with the hotel ahead of time to arrange your curated breakfast meal. 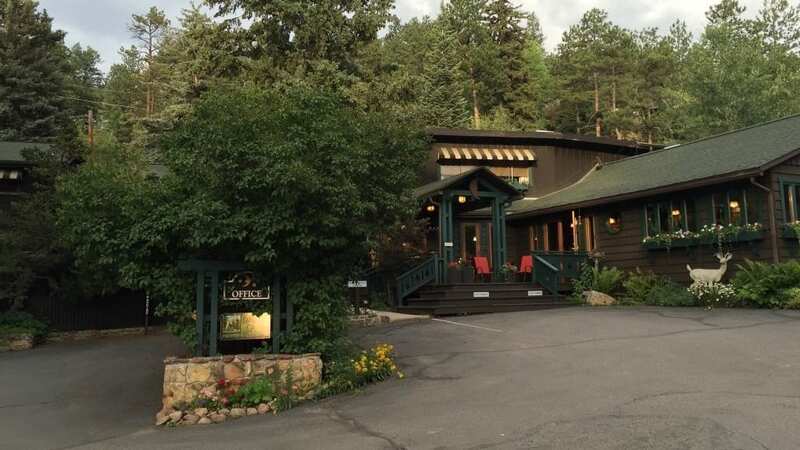 Alpen Way Chalet Mountain Lodge, Evergreen, CO.
Evergreen is the type of town where interactions and viewing of wildlife is not happenstance but a norm. The whole town is integrated with nature, which is why the hotels and accommodations here are quite unique. Some locations are just too good to just sleep in. That’s how Alpen Way Chalet Mountain Lodge is. This historic site used to be the Van Cleve family estate in 1920. Since then, they have renovated the place and opened it to the public to enjoy nature within Evergreen. With the company motto, “Enter as strangers, leave as friends,” they are dedicated to creating unique experiences that fuse the beauty of the land. The location is just 10 minutes away from downtown, but from the cabins and the lodges, you can go directly to the surrounding trails for hiking and snowshoeing near the Lariat Loop. There are also over 20 popular Evergreen dining locations just within a mile from this hotel. There are 7 units in total: 3 rooms, 3 suites, and a cabin. Every accommodation has its own unique character and design, but all guests will be able to enjoy the lodge’s amenities including the hot tub, WiFi, in-room continental breakfast, parking space, gas fire pit, and amazing outdoor space. For those who would like to book the entire space, it can also be arranged. For those looking forward to their close interaction with wildlife, the previous guests of the lodge noted they have seen deers, fawns, and other animals roaming around the property (and sometimes, just around the koi pond)! 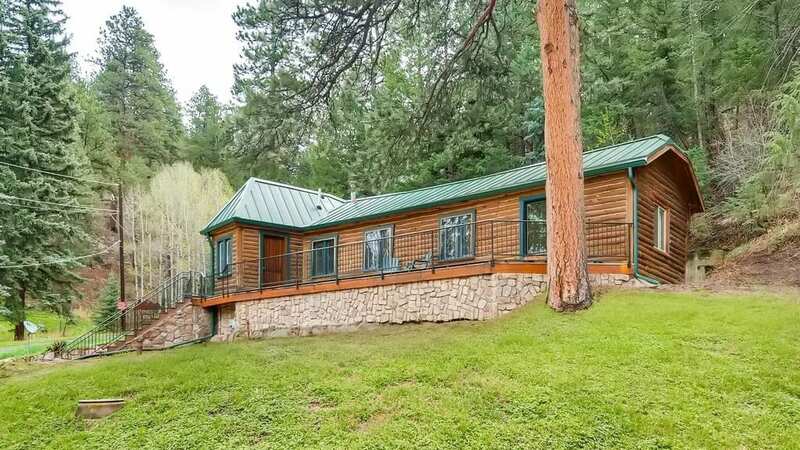 Colorado Bear Creek Cabins, Evergreen, CO.
For those traveling on a budget whom are looking for all the cabin features listed above, then Colorado Bear Creek Cabins is the great fit for you. This particular accommodation is known for its weekly rentals. Their packages are usually priced this way, so it’d be more suitable if you have a longer trip planned in Evergreen. Located just 25 miles west of downtown Denver, you can have an easy hour drive to this location from the Denver International Airport. There are eight cabins and 1 mountain home that all include a full kitchen, wood-burning fireplaces, WiFi, BBQ grills, picnic tables and fly fishing activities. The cabins are recently renovated or built so you’ll feel inspired by the modern country vibe. There are still undertones of traditional cabin subtleties, from the wooden panels to the furniture, but there’s a simplistic design that allows you to make the place your own. For a property that has run since 1947, that’s a pretty good track record. Thanks for reading our roundup of top hotels in Evergreen. Enjoy your trip to one of Colorado’s favorite mountain towns!